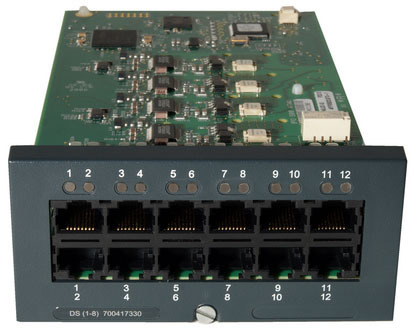 The IP500 ETR Extension Card (700476039) supports 6 Partner ETR ports for specific Partner stations (phones). For Partner ETR 6/18/34 D, Euro-Style, Refresh digital phones and 3910/3920 wireless telephones. Maximum of 3 Extension Cards per IP500 V2. Supported on IP Office Essential Edition – PARTNER Version ONLY. This card is compatible with the current IP500 V2 Avaya IP Office system.